If you’re frequently overstretched, cut back on your number of tasks and obligations each day. Experiment with prioritization methods that help you identify your most important tasks each day, and focus on crossing those items off your list first. If you have time remaining, you can begin to tackle less-important tasks. If you procrastinate too much, you’ll eventually fall behind, forcing you to spend hours in a rushed state trying to catch up when you could be enjoying quality time with your family or friends. Breaks are essential for helping you work at your optimal performance, but again, the key is finding the proper ratio of breaks and productive work. One method that many busy professionals find effective is the Pomodoro Technique, a time management method that involves 25-minute intervals of focused work followed by a 5-minute break. This method helps you to avoid distractions and prevent burnout by allowing you to get up and take a short walk, chat with a friend, or let your mind rest for a few minutes between work sessions. One of the biggest obstacles to achieving better work-life balance is the always-on nature of life today. If you access your work email on your smartphone, it’s tough to avoid those urgent messages when you’re trying to take some time for yourself. To avoid getting sucked into work when you’re in need of some R&R, schedule time to unplug and be truly unavailable. For instance, you might decide to mute your notifications on Sundays so that you can take the whole day to enjoy your family without interruptions. Turn your device on first thing Monday morning and address any unanswered messages that came in while you were unplugged before starting your work week. 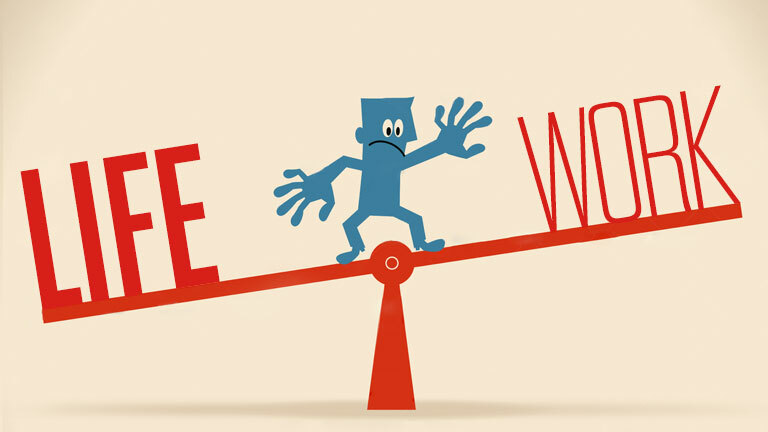 Work-life balance is in large part about recognizing where you can be more flexible with your goals and expectations and placing greater importance on the things that matter most to you in your personal life. Setting realistic goals, working in sprints, and learning to accept that some things can wait until tomorrow will get you closer to the ideal balance you’re working to achieve.